Do you trust Papa Roach to melt your face this summer? 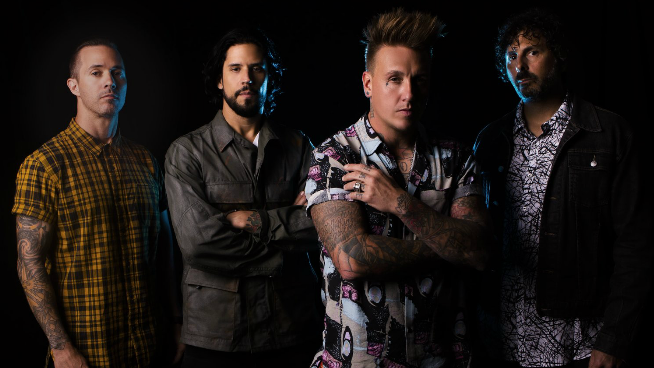 Papa Roach has been one of the biggest acts in rock music since their success in the early 2000s with songs like “Scars” and “Getting Away With Murder.” This time around Papa Roach is bringing the Who Do You Trust? Tour to Kansas City. They’ll be playing at the Providence Medical Center Amphitheater, technically in Bonner Springs, on August 24th and they’re bringin their friends in Asking Alexandria and Bad Wolves along for the ride. Make sure that you’re listening to V100 for your chance to win tickets to the show! Tickets go on sale this Friday at 10 AM and can be purchased here. We will have chances for you to WIN TICKETS as well, so keep up with our socials and listen in to find out when and how to win! Papa Roach is announcing the new leg of their tour on the cusp of releasing their 10th studio album Who Do You Trust? this Friday, January 19th. The band has released four songs from the album thus far and the album seems to be leaning more towards a rap/pop album with some guitars, but the songs are great and will certainly have more of a “rock” vibe when performed live. You can pre-order the new album now by clicking here. P-Roach is one of the best live acts in rock and nu-metal. They bring a ton of energy to the stage and really get the crowd involved. This is a show that you really do not want to miss. Check out the last time Papa Roach hit the stage in Kansas City below!